This in-depth guide offers a checklist of best practices in conversation optimization for website design. Whether you’re a seasoned pro or a complete newb, you should find some valuable takeaways. PDF Bonus: This article is 7,527 words. Click to download the full PDF + checklist so that you can reference it later. But there’s a problem with that premise. If you’re the only person running your business, oftentimes you won’t have the resources to capture that information. You won’t have (a) the time to collect and analyze that data or (b) the capital to hire somebody else. So what do you do? Well, that’s where psychology can help. Psychological tactics are already grounded in concrete hypotheses. Will they work every time? Well, no. But they’re not some random split test that you pulled from thin air. More often than not, they should provide a positive boost. This article is huge —how do you know which tactics are most important? The answer lies in the structure of the article. You’ll notice that I’ve broken out the tactics by different CTAs. Once you calculate those values, you can pinpoint the areas that need the most improvement. Figure out which step — if improved — would provide the greatest value. And start with those tactics. By adopting that growth hacking mindset, you can scale your growth more effectively. Some marketers obsess over their buttons. Even though some of that obsession is unwarranted, there is some merit to it. Top of Funnel: Most conversions in your funnel will originate from a single click. If you increase the conversion rate at the beginning of your funnel, you’ll increase conversions at each stage of your funnel. Larger Sample: If you target visitors earlier in your funnel, you’ll be working with more people. So you can run more A/B tests in a shorter time frame. 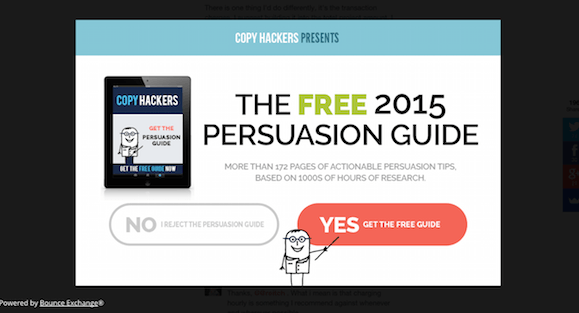 Easier to Test: Most of these A/B tests involve the characteristics of a single button. So they’re easier to implement than A/B tests that require structural changes. Back in the day, our ancestors acquired an important trait: the ability to detect contrast in the surrounding environment (Endler, 1992). They needed that trait to detect predators or life-threatening stimuli. Without that trait, people died off. Thanks to natural selection, you still possess that ability. Your attention is naturally drawn toward stimuli that are visually salient (Parkhurst, Law, & Niebur, 2002). So use that insight. 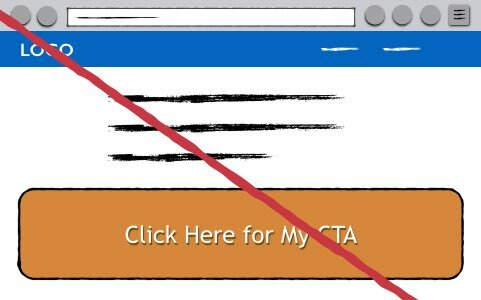 Increase the visual saliency of your CTA button. Choose button colors that contrast with the rest of your page. That contrast will naturally attract attention. But that’s pretty obvious, right? Obviously contrast will attract more attention. 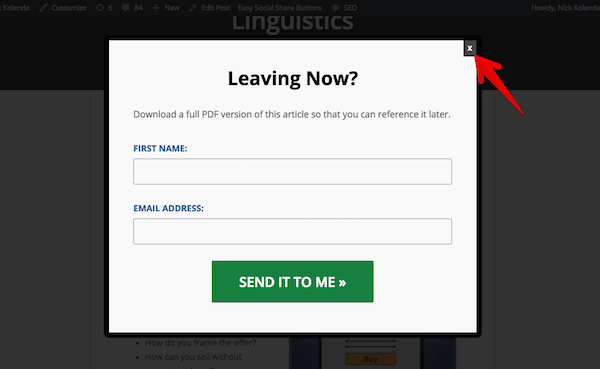 In both variations, the button is located in the same spot — a very prominent place on the page. Even though the green button has less contrast, it’s still hard to miss. People still probably noticed it. So, then, what’s going on? If people noticed both buttons, why did red perform better? The answer involves processing fluency. Processing Fluency — The ease and speed with which we process information (see Alter & Oppenheimer, 2009 for a review). Whenever a concept enters our mind quickly and easily, it produces a pleasant sensation in our brain. We then falsely attribute that pleasantness with our evaluation of the stimulus. We evaluate that stimulus more favorably simply because we were able to process it more easily. How does that relate to button colors? Contrasting button colors increase processing fluency. Due to the contrast, the act of clicking your button will enter visitors’ minds more easily. That ease will then generate a pleasant sensation in their brain. The act of clicking your button will seem more appealing, so they’ll be more likely to do it. Pretty interesting. Plus, in addition to attention and processing fluency, there’s a third reason why contrasting buttons perform better. But we’ll revisit that answer later. We judge the probability of an event based on representativeness (Kahneman & Tversky, 1972). How similar is the stimulus to its parent population? Does it contain features that are representative of that population? If it’s similar, then we’re more likely to categorize that stimulus with the parent population. You can apply that takeaway to your CTA button. Some websites create fancy buttons — perhaps a gigantic button that you can’t possibly miss. Your CTA button needs to contain features that are representative of other buttons. Without those common characteristics, your button won’t look like a button. So people won’t click. How can you make your button look clickable? For one, keep it a normal size. Don’t use a monstrous button that overwhelms your page. Also, consider giving your button a border, bevel, or shadow. Those cues represent depth, so your button will look more clickable. We possess an evolutionary trait to follow people’s gazes (Emory, 2000). To direct attention toward your CTA, orient images of people so that they’re looking at your button. If you want a deeper explanation, you can refer to my stock photo article or advertising article. You should consider repeating your primary CTA for few reasons. First, with more placements, you’re more likely to capture attention. Visitors might miss your CTA in the upper right corner, but they might see your CTA at the bottom of your page. Second, your timing might be more conducive. Perhaps they weren’t ready at the top of your page, but they’re ready by the middle or bottom of your page. There’s a third reason too. In his seminal research, Robert Zajonc proposed the mere exposure effect. People develop a stronger affinity toward a stimulus if they’re repeatedly exposed to it (Zajonc, 1968). Part of that effect might involve processing fluency. With repeated exposures, people can digest your CTA more easily, which enhances their affinity toward it. Well, if you’re exposed to a stimulus — and if you don’t experience a negative response to it — then you experience a positive emotion. And you attribute that positive emotion to the stimulus. Because of that new association, a subsequent exposure to that stimulus will trigger a positive emotion. Either way, the takeaway is clear: repeating your CTA should help increase conversions. For example, Michael Aagard tested the above example, and he increased conversions by 90 percent. And that effect seems consistent. In a similar experiment, he increased conversions by 25 percent. Joanna Wiebe increased conversions by 24 percent. Visual Website Optimizer increased conversions by 8 percent. Mental Simulation: Research shows that people develop a more favorable attitude toward a stimulus if they mentally interact with it (Elder & Krishna, 2012). Conceptual Fluency: Research shows that you’re more likely to complete a task if you can envision yourself performing that action (Song and Schwarz, 2008). By using 1st person wording, you apply both insights. First, your visitors mentally evaluate the CTA in terms of their personal use. With 3rd person wording, they consider your CTA from a 3rd person perspective — which isn’t as strong. Second, because they envision themselves performing that CTA, they experience a higher level of conceptual fluency. They can see themselves performing that action. So they become more likely to do it. Shapiro and Nielson (2013) found a cool insight. When a stimulus subtly changes in your environment — even if you don’t consciously notice the change — you develop a stronger affinity toward that stimulus. The researchers attributed their finding to processing fluency. When a stimulus changes in your environment, you subconsciously detect that change. And, as a result, you devote more processing resources to evaluate it (thus enhancing your attitude toward it). But how can you apply that insight? Or, like Bounce Exchange, you could change your button color as visitors scroll down the page. Sure, those visual changes might attract more attention. But, even if they don’t, visitors should develop a more favorable impression of your CTA — thanks to the benefits of incidental change detection. You’re walking down the street. Further ahead, you notice somebody handing out free snacks for a promo. Hmm, interesting. But you’re not overly enticed. You plan to ignore the vendor. Ugh. Now you need to actively reject his offer. But, in contemplating your refusal, you experience a change of heart. For one, you weren’t that opposed to his offer in the first place — just on the fence. Plus, a refusal would (a) be impolite, and (b) contradict social norms. What kind of weirdo doesn’t want free stuff? So you cave. You happily accept the granola bar and move on. Don’t let that happen. Be the annoying vendor. Force visitors to choose an option: accept or reject (with an explicit consequence for rejecting). If visitors need to give you an answer — yes or no — many will experience the same change of heart. They’ll be more likely to accept your offer because it feels more natural than rejecting it. Why does that happen? If you force people to reject an option, they need to consider the benefits that they’re giving up — which triggers loss aversion (Levin et al., 2002). They accept the offer because they don’t want to lose those benefits. That effect is particularly strong for hedonic choices (Dhar & Wertenbrach, 1999). So you could also incorporate hedonic framing into your copy. Once visitors click your button — whether they’re subscribing to your blog, creating an account, or starting a free trial — it’s inevitable. Some won’t complete that process. 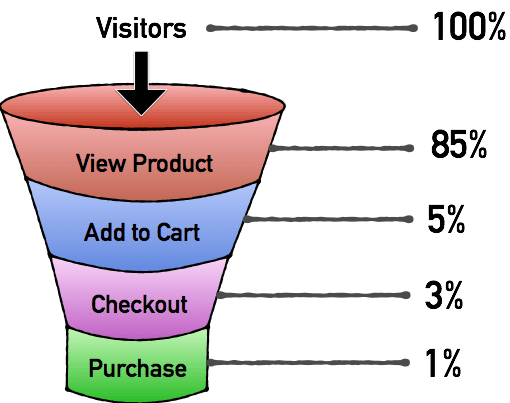 These tactics should help prevent visitors from exiting your funnel prematurely. Want to get more conversions? Then you should make it harder for people to convert. One Step Opt-In: You present input fields directly on the page. 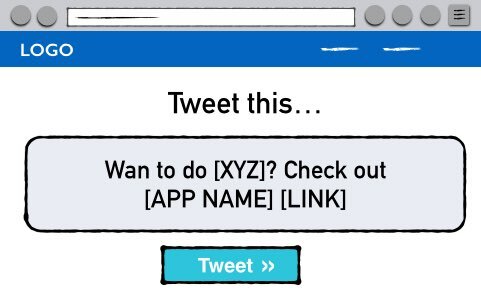 Two Step Opt-In: You display a link or button. When visitors click that button, then your input fields are shown. It seems counterintuitive, but two-step opt-ins are more powerful. The reason? They trigger cognitive dissonance (Festinger, 1957). When visitors click the initial button in your two-step process, they’re usually trying to accomplish a goal (e.g., create an account, receive bonus content, etc.). Oftentimes, visitors will click that initial step without realizing that another step lies ahead. But, in clicking your button, they reinforce an attitude that they are interested in achieving that goal. And that initial attitude is the key. Once visitors reach the second step, they experience a dilemma. They clicked your button because they were interested in your CTA. If they don’t complete your CTA, then their behavior will be inconsistent with their attitude. And that inconsistency activates the dorsal anterior cingulate cortex and anterior insula (Veen, Krug, Schooler, & Carter, 2009). Those visitors feel a painful emotion — i.e., cognitive dissonance — and they become motivated to resolve it. How do they resolve it? They act in a manner consistent with their initial attitude. They complete the opt in. But that dichotomy is wrong. There is no dichotomy. Instead of positioning account creation at the starting gate, move it slightly further in your funnel. Ideally, visitors should create tangible progress with your product before they fill in their personal details. If they make tangible progress, they’ll experience a stronger desire to complete the sign up process when they encounter it. Instead of starting with account creation — a large and invasive step — start by asking users to choose the topics that interest them. Smaller Step: Choosing topics is less invasive than filling out personal details. People will be more likely to do it. Triggers Momentum: Their progress will reinforce an interest in your app. If they don’t create an account, they’ll feel cognitive dissonance. Triggers Loss Aversion. If users don’t create an account, they’ll lose the progress they’ve made — which feels painful (Tversky & Kahneman, 1991). Totango analyzed data for 100 SaaS companies. 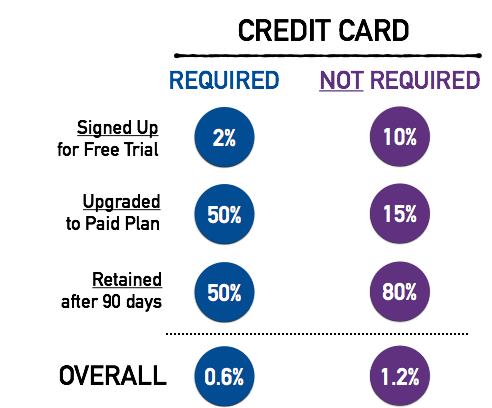 They found that companies performed better when they didn’t require a credit card for their free trial. When credit cards were required, more people upgraded later — which is good. However, that requirement limited the number of people who started a free trial. When credit cards weren’t required, the increase in new sign ups produced a greater overall improvement in the final conversion rate. The takeaway? Always make the initial steps in your funnel as easy as possible. If you can trigger momentum — any amount of momentum — people will be more likely to follow that path (Cialdini, 2006). As humans, we succumb to the goal gradient effect. We feel a stronger urge to reach a goal after we’ve made progress toward that goal. One popular experiment took place in a coffee shop (Kirvetz, Urminsky, & Zheng, 2006). For a loyalty program, returning customers needed to acquire 10 stamps to earn a free coffee. Turns out, customers were more likely to return if — instead of a 10-stamp card — they received a 12-stamp card with 2 stamps already acquired. Even though both cards required exactly 10 stamps, the illusion of progress motivated customers to return. Assuming that your funnel has a manageable number of steps, those statements will guide customers toward the end of your funnel. Do you run an eCommerce site? Then you’ll need people to add your product to their shopping cart. Or perhaps you offer subscription plans or pricing tiers. In that case, you’ll want to influence people to choose a plan with a high ROI. These tactics can help with both goals. And if you want some more conversion tactics related to the pricing of your product, you can refer to my pricing article. Tactic 1 described two benefits of visual contrast.Not only does it capture attention, but it also increases processing fluency. People can digest your CTA more easily, enhancing their attitude toward it. Those benefits apply here too. Consider adding visual contrast to your target product. In describing Tactic 1, I also hinted at a third benefit of visual contrast. Well, here it is: when a stimulus is visually salient, people spend more time looking at it. Well…it is a big deal. Visual fixations — by themselves — can influence choice behavior. Research shows that people are more likely to choose an option if they spend more time viewing that option (Armel, Beaumel, & Rangel, 2008). Similarly, when people choose among a set of options, they’re more likely to choose the last option that they viewed (Krajbich, Armel, & Rangel, 2010). That’s why visual contrast helps visitors choose a particular product. When you increase the saliency of your target product, visitors spend more time looking at — and thus contemplating — that option. They’ll be more likely to choose it when they make a decision. In the previous tactic, I explained the role of visual contrast, eye fixations, and choice behavior. But you should also consider the location of your target product. You can guide attention toward your target plan — and influence more people to choose it — by positioning it in the middle of your other plans. So your target plan is now centrally located with a visual distinction. Why not add a social cue as well? As humans, we experience an innate desire to follow the crowd (Asch, 1956). By identifying the “most popular” option, you reveal the socially accepted path. Your visitors will feel a natural tendency to choose that product. Johnson and Goldstein (2003) found a startling insight with default options. According to their data, countries could double their organ donors by using an opt out (rather than opt in) method. When donating is the default option, twice as many people stick with it. Reduces Cognitive Load: Decisions become easier. Why spend time choosing an option? One has already been chosen. Triggers Loss Aversion: We imagine ourselves with the default option, and we feel entitled to those benefits. If we lose them, we feel pain. You can use default options in various ways. For one, you could make your target plan the default (see the visual example above). But that setup is pretty awkward. Very few people structure their pricing pages that way. Perhaps more effectively, you could use default options to upsell customers during checkout. When visitors see that default, they imagine themselves with protection insurance. So if they opt out, then they’re losing those benefits. That’s painful. You could also use defaults when people sign up for a free trial. That decision can be a toss up for some customers. But if you add a default, you reduce the need to think about it. Instead of exerting mental resources to contemplate that decision, some customers will simply keep the default. This tactic won’t work for every business. 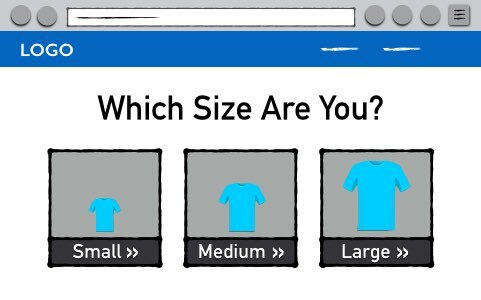 But it’s a great way to maximize revenue if your product is customizable. Some participants started with a fully loaded model, and they removed features that they didn’t want. Some participants started with a base model, and they added features that they wanted. Like the previous tactic, the defaults were powerful. When participants started with all features, they experienced loss aversion. They didn’t want to lose those features, so they were more likely to keep them. Those participants eventually paid a higher price for the car. If your product is customizable, consider starting with all of the features by default (and asking customers to remove the features that they don’t want). Not only will you trigger loss aversion, but you’ll also take advantage of anchoring (Tversky & Kahneman, 1974). If people start with a fully-featured product, their final product will remain closer to that starting point. Quick question. Which animal do you prefer? Xu and Wyer (2008) asked participants that same question. Turns out, it made people more likely to buy a computer. Whenever people make a comparison — regardless of the topic— they acquire a “which-to-choose” mindset. If those people then view a set of products, they’re more likely to skip the first stage of the buying process. They won’t decide whether to buy. They’ll decide which to buy. So how can you apply that insight? Before presenting your products, ask visitors to make a choice or comparison. But eventually — after visitors make their selections — you can present your adjusted catalog. If visitors want to readjust the filtering options, they can use a menu on the left. 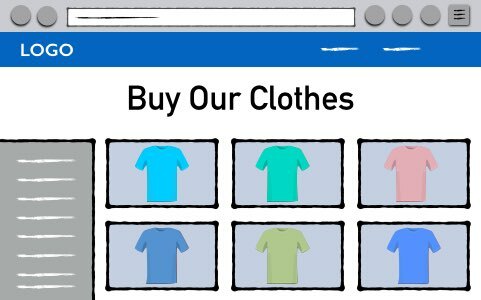 Reduces Choice Overload: Instead of overwhelming visitors with your entire catalog, you’ll only display the products that are relevant. Reduces Loss Aversion: With more options, people are often less likely to make a decision (Schwartz, 2004). That occurs because of loss aversion. When we choose an option, we lose the benefits in other options — so we postpone our decision. The previous solution reduces that perceived loss because it hides the other products (i.e., benefits) in the catalog. Triggers Momentum: When visitors make those initial choices, they develop an attitude that they’re interested in your products. If they don’t complete a purchase, they’ll feel cognitive dissonance. Those were just a few benefits. But don’t forget about the main benefit: you also prime a which-to-choose mindset. 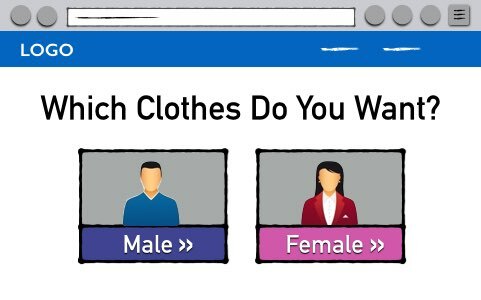 Instead of deciding whether to buy your clothes, they’ll be more likely to decide which clothes to buy. In this advertising tactic, I explain a trick to enhance your product images. And that tactic works for ecommerce as well. In short, Elder and Krishna (2012) found that mental interaction sparks more purchases. In other words, when participants envision themselves interacting with a product, they become more likely to purchase it. All of those images increase mental simulation. People imagine themselves interacting with the product, and so they become more likely to purchase it. Scarcity is one of Robert Cialdini’s six principles of influence (Cialdini, 2006). This tactic is pretty common, so I won’t regurgitate that information. You can refer to his book, Influence, for a deeper understanding. What’s the ideal length of your product descriptions? It’s a tough question. And it depends on your product and niche. However, researchers have found a useful insight. With hedonic or frivolous products, you should incorporate more — rather than fewer — attributes. So, a visitor clicked your Add to Cart button? Congrats! But don’t celebrate yet. Baymard Institute looked at 31 different studies on shopping cart abandonment. They found that, on average, 68.5% of people abandon their cart. That’s huge. The tactics in this section will help you reduce that abandonment. Whenever we pay money for a product, we feel a sense of pain known as the pain of paying (see my pricing article for more detail). On one hand, we want the product. On the other hand, we don’t want to pay money. Either way, we consolidate those contradicting attitudes. That process usually occurs during checkout — because that’s when we feel the strongest amount of pain. And that’s why trust symbols are so important. Trust symbols are visual elements that provide reassurance — whether it’s a representation of your guarantee or a security symbol near your payment button. By providing reassurance and justification during the checkout, you help resolve their dissonance. You guide them toward Option 1. The underlying psychology is important. Some marketers place trust symbols earlier in the funnel, such as the account creation process. But that’s usually a mistake. And it might explain why some tests have found negative results. You don’t need trust symbols early in the funnel because we don’t feel pain in that section. We feel it during the checkout — when we’re about to hand over our money. So that’s where you should place trust symbols. People are rarely happy with absolute outcomes. In most domains, people compare their outcome to the outcome of other people (Festinger, 1954). If customers need to pay a higher price than other customers — even if the absolute price is fair — they’ll be less likely to buy. They want to pay a price that’s equal, if not lower, than the price that other people are paying. And that sparks a dilemma with your coupon or discount field. If customers encounter a discount field— and if they don’t have one— then they’ll know that other people are paying a lower price. And that’s painful. By deemphasizing your coupon field, you’ll reduce the saliency of potential price differences. Customers will be less likely to enter the social comparison process, and they’ll be more likely to complete the checkout. Are you familiar with landing page optimization? Then you’ve probably encountered a common problem. If your landing page contains the site navigation (or various links within the page), oftentimes you’ll reduce conversions. When visitors click on a link, they leave your page. They’ll start venturing down a new rabbit hole, with new stimuli and new distractions. Maybe they’ll return. Most likely, they won’t. Use that insight to enhance your checkout. Every link represents another opportunity to lose the purchase. To solidify your funnel, remove your site navigation and all unnecessary links. When you remove stimuli that divert attention away from the purchase, you increase intention — a key component of self-regulatory behavior (Shapiro & Schwartz, 2000). Visitors narrow their focus toward completing their purchase, and they become more likely to accomplish that goal. 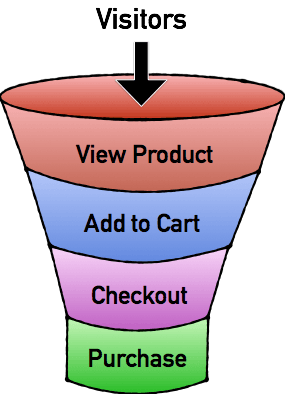 If you follow the previous tactics, you’ll reduce the number of people who leave your checkout funnel. But it’s still inevitable. People will leave. All legitimate reasons. And oftentimes people leave with genuine intentions to return. Unfortunately, our memory is crappy. If people leave your checkout, they’ll often need a stimulus to trigger their memory to purchase (Marsh, Hicks, & Cook, 2005). Well, if your product is unique or non-essential, they probably won’t encounter a relevant cue. That means you’ll slip into the deep abyss of their memory, never to return. Not a fun place. Or, better yet, you can email the people who abandoned your checkout. According to a study by SaleCycle, 44% of cart abandonment emails are opened (and each email generates an average of $8.21 in revenue). Either way, by retargeting those people — perhaps with an enticing discount — you trigger their memory to complete their purchase. Most people don’t consider conversion optimization for social sharing. But that’s a mistake. With the rise in growth hacking over the past few years, social sharing has become even more important. So the tactics in this section can help you encourage more people to share a message. Within a few short years, Dropbox became a billion dollar company. What was their secret? Among a few key factors, they incentivized social sharing. By offering free storage for each new referral, they increased signups by 60 percent. Though you could explore research on incentives and extrinsic motivation (Ryan & Deci, 2000), this tactic is mainly grounded in common sense. To boost social sharing, offer an incentive. Most marketers use testimonials for their products. When you demonstrate that other customers were happy with their purchase, you reduce the risk for other customers. But have you considered using testimonials for social sharing? It sounds weird, but hear me out. Whenever you share a message on social media, you encounter social risk. How will people perceive your message? Will they judge you negatively? Because sharing has a social risk, visitors feel more comfortable if other people have shared that message. Take advantage of that. Post screenshots of other people who shared your message. That way, you remove the social risk — sharing is the social norm. So people will be more likely to do it (Asch, 1956). In Contagious, Jonah Berger describes social currency. We tend to share content that makes us look good. Suppose that you started a SaaS company. To grow your business, you plan to incentivize new users to share a message so that you can capture referrals. If you were executing that strategy, what message would you ask people to share? There’s nothing wrong that message. It’s simple. It’s straightforward. And it would probably entice the target market to click. So what’s the problem? That message is promotional — it’s essentially an ad for your business. And people don’t want to share advertisements. They want to share content that makes them look good. Instead, let’s revise that message to incorporate social currency. By creating a message that makes people look good, your users will naturally want to share it. You won’t need to convince or entice them. That type of message might perform better. 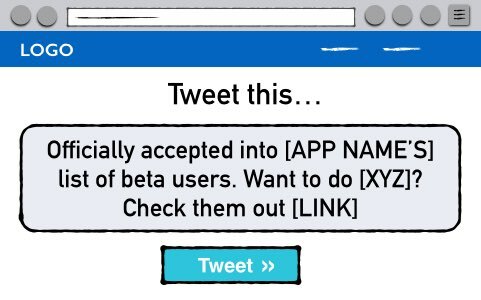 The wording, “officially accepted,” seems like an accomplishment — as if users joined an exclusive club. So it makes them look good. Although you would need to confirm the results through split testing, that message would probably generate a higher percentage of social sharing from new users. The main takeaway: add social currency to your message so that people will naturally want to share it. If I could only recommend one takeaway, it would be this: always have concrete hypotheses for your A/B tests. Never conduct a test merely to see which variation performs better. If you don’t have a reason for conducting an A/B test, then the test probably isn’t valuable. You could implement a more effective test — one that’s grounded in a solid hypothesis. If you’re not sure where to start, then use this guide. The tactics in this article are grounded in psychology, so you already have the concrete hypotheses. Bonus: Click to download the 79pg PDF + checklist so that you can reference it later. You’ll also get access to my other PDFs and videos. I want to end with a suggestion that I emphasize in my other articles: remain skeptical. Sure, the previous tactics were grounded in psychology. But that doesn’t mean they’ll always work. Sometimes they won’t. Never assume that your change will improve performance. Always confirm any big changes to your website through A/B testing. But with that analytical approach — and the previous conversion tactics — you should be able to scale your website growth more efficiently.